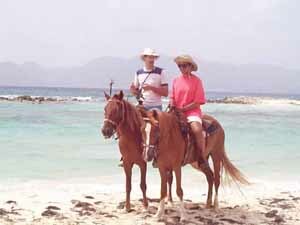 EL RANCHO DEL BLUES offers you a beach ride to one of Anguilla's 35 beautiful beaches. We'll take you through the fields of Gibbons scenic trails. 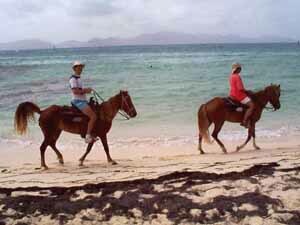 Then we'll take you to the best part of the two hour ride swimming with your horse in the calm, crystal waters of Sandy Point majestic beach. This is a horse lovers fantasy come true. 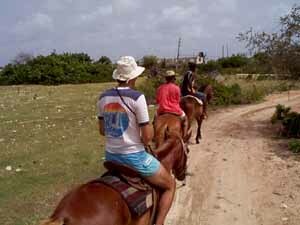 English or Western saddles available.